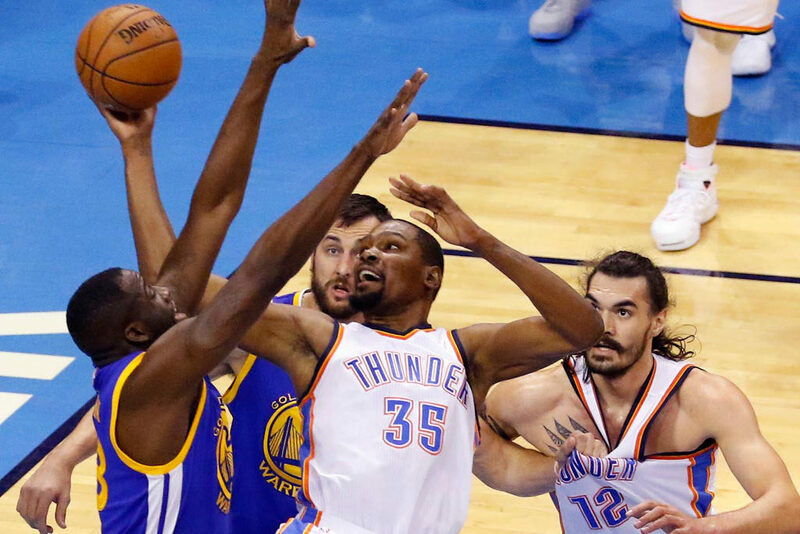 Not good for Warriors if they do or do not sign Kevin Durant? If you are a part of the core Golden State Warriors, good for you. I am speaking for Klay Thompson, Stehpen Curry, and Draymond Green. You might include another in the name of Iguodada, but I would not bet on it, knowing the way the NBA can do business. From “sources” (I had to say it), these four (include Andre) are all in with the recruitment of Oklahoma City’s superstar Kevin Durant, of having the second best player the world join the now defrocked NBA champion Warriors for the upcoming 2016-2017 season. 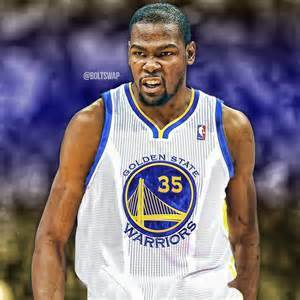 Yes, they joined the higher ups of the Golden State franchise, including head coach Steve Kerr, in meeting with Durant Friday to pitch a long-range plan for the team that would include the face of the Thunder in achieving a championship for the Warriors next season. Good luck with that. What Golden State did was to say to the many role playing members of the team: We cannot afford you if we sign Durant so “see you later”. We (the top players and powers-to-be) want Durant and to hell with the rest of you. Go make your careers someplace else. Title or no title in 2015-2016, if we can get Durant, you can come along for the ride for minimum salaries, please, or off with you. We can not pay you more than what would be called “NBA peanuts”. What is happening with Golden State right now is a game changer…….and it might not be for the betterment of the organization. The grumblings and discontent has begun with the Warriors, and the worst thing this NBA team has done since their rise to the top happened wth that meeting with Durant. Fact is, the balance of the Warriors players have been “thrown under the bus” and told that Durant is more important than they are. Current free agents Harrison Barnes, Leandro Barbosa, and Marreese Speights can say good-by to the Warriors. Others like Bogut, Shawn Livingston, and the rest of the team can look for possible trades as the money that will be available for contracts with the addition of Durant will be slim to none to keep such talent. From SB Nation’s Jason Pratt: Then there are the two key restricted free agents,Harrison Barnes and Festus Ezeli. With certain other moves and the cooperation of all parties, the Warriors could keep their cap holds on the sheet, have space to sign Durant and then go over the cap to re-sign the two youngsters. The more likely scenario is that one or both are let go for Durant, with Barnes in particular looking expendable in such a situation. Iguodala and Bogut are two players who could be moved to make room for Durant. Iguodala is set to make $11.13 million in the last year of his deal in 2016-17 and he could be a coveted asset on the trade market considering he’s still effective. Bogut will make $12.68 million as an expiring contract next year and the Warriors could look to trade him as well, although he may be a bit tougher to unload. Yahoo Sports’ Bobby Marks suggests using the stretch provision on Bogut, which will spread out his remaining salary over three seasons. This will lessen Bogut’s cap hit for next year and create more cap space for Durant. With all that can be done to sign Durant, he still would not get more than he could in Oklahoma City. And with Stephen Curry’s below market value salary for the next two seasons, an long tern deal with Durant would not be to the best of their interest. The Warriors have the team right now without Durant to continue to win big, titles and such. But with the fooling around with Durant, the outlook can become less desirable, especially if Durant would come up with another big time injury while with the Warriors or the bench play does not sustain leads during games. Most teams fall apart within, and that is now a possibility with the Warriors. They are playing with fire in the name of Durant.